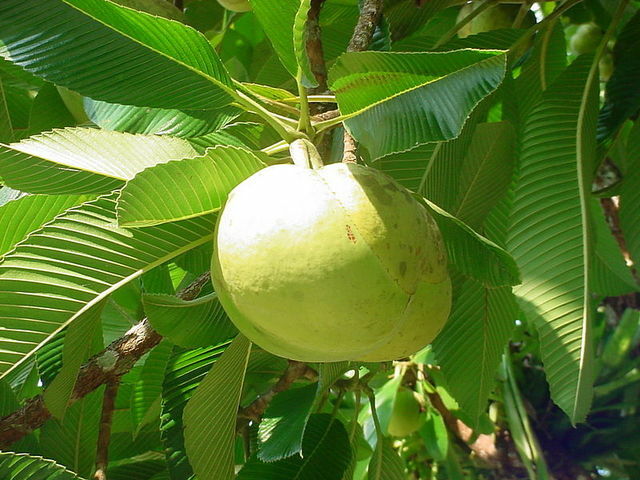 The fruit, of the Dillenia indica tree, or elephant apple, is a 5–12 cm diameter aggregate of 15 carpels, each carpel containing five seeds embedded in an edible but fibrous pulp. The pulp is bitter-sour and used in Indian Cuisine in curries, jam, and jellies. It is often mixed with coconut and spices to make chutneys.